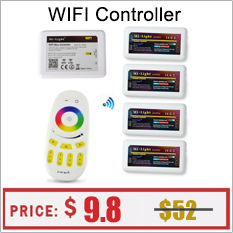 ​Please buy lamp , frame , and power supply separately . 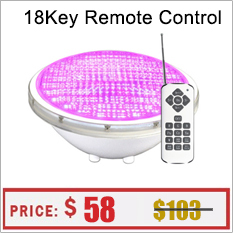 1:This is 2 in one function RGB LED pool light , can be used for Par56 Recessed and wall mounted also . 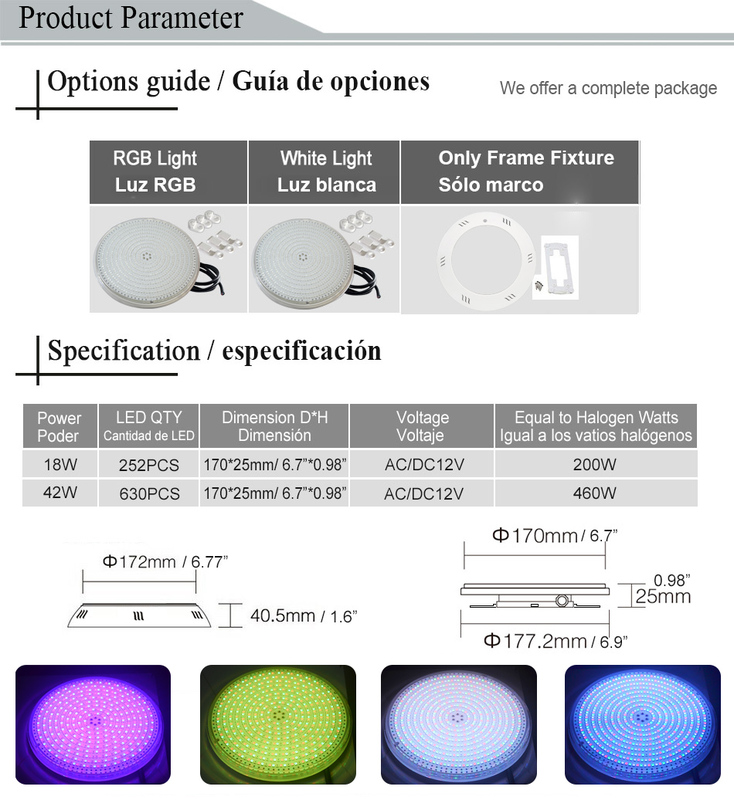 Please buy LED lamp and Fixture frame seperately ! If you don\'t have niche please buy the frame together to be used as wall mounted pool light . 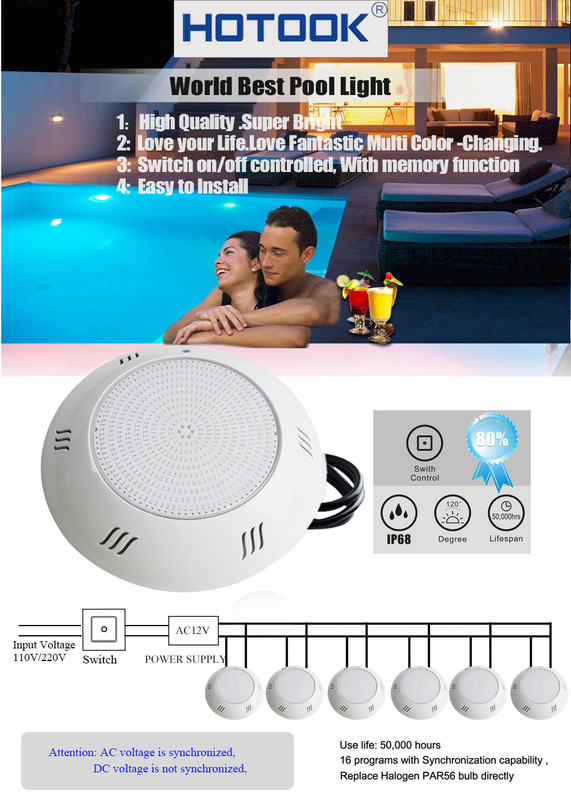 2: LED Pool Lamp controlled by Switch Power On/Off to Change colors and Models . 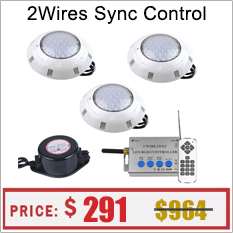 3:Must Use AC12V Power Supply (link below ) to control in Sync . 5: Cable Wire Default : 2m. If you have any speical request of length please contact us before buying . 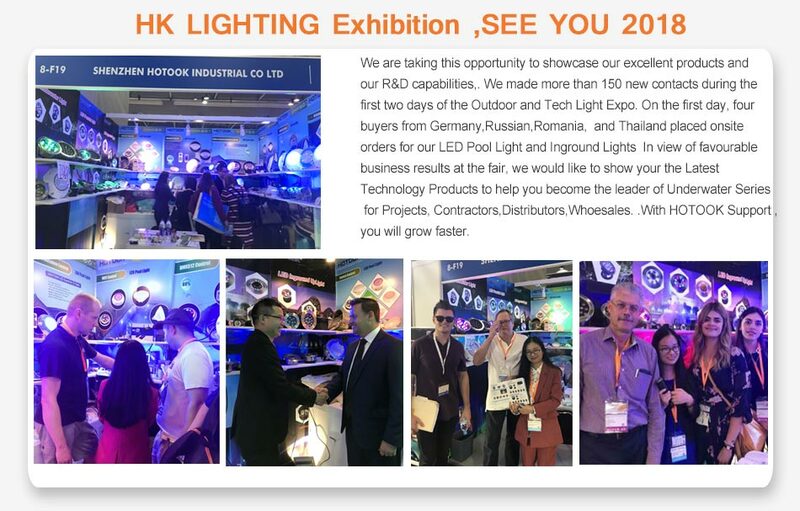 For New Construction HOTOOK innovation and technology as the leading underwater light. 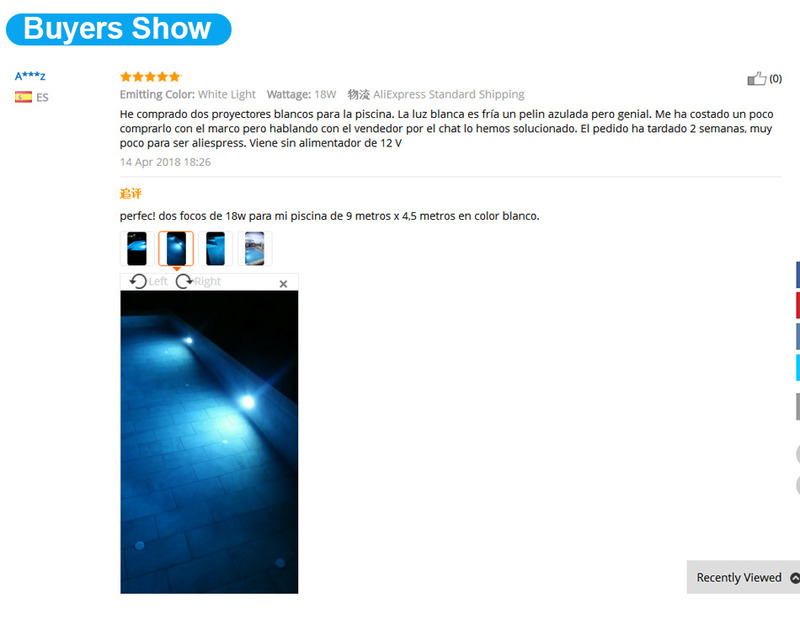 It provides brighter, more vivid colors and light shows that are energy efficient, with feature rich options for pools and spas. 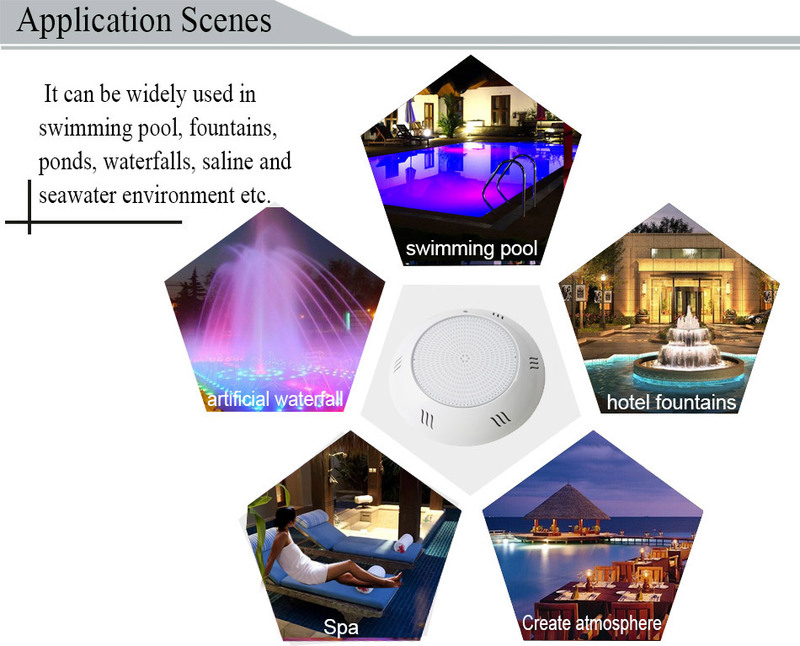 LED Swimming Pool Lights are widely used in swimming pool, spring, water view, artificial waterfall and other outdoor lightings, and can make RGB lighting effects with the remote control . LED’s are driven by constant current. 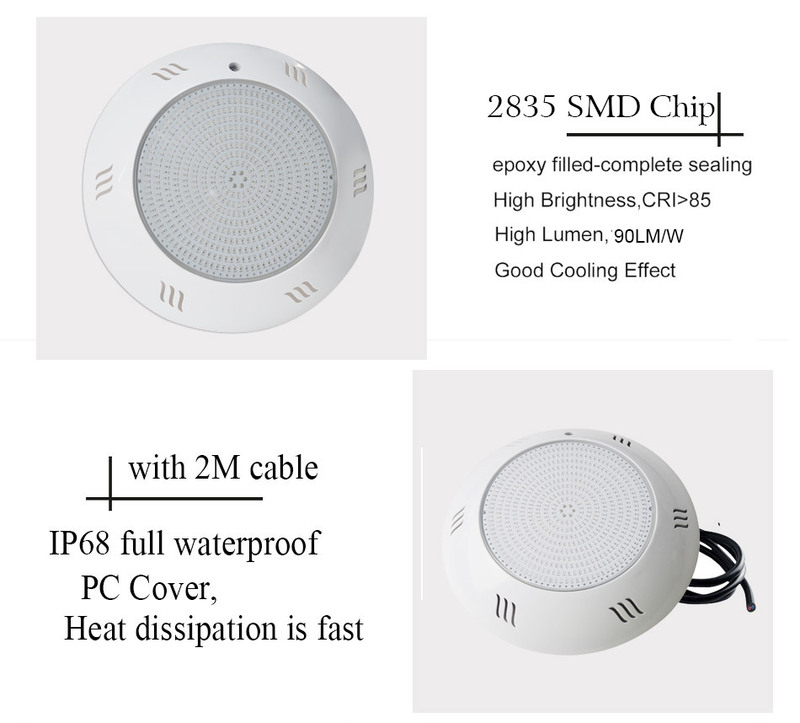 The technology of True PWM is adopted on the lights. and replacement is necessary . Never switch on the lamp if it is not underwater for long time . 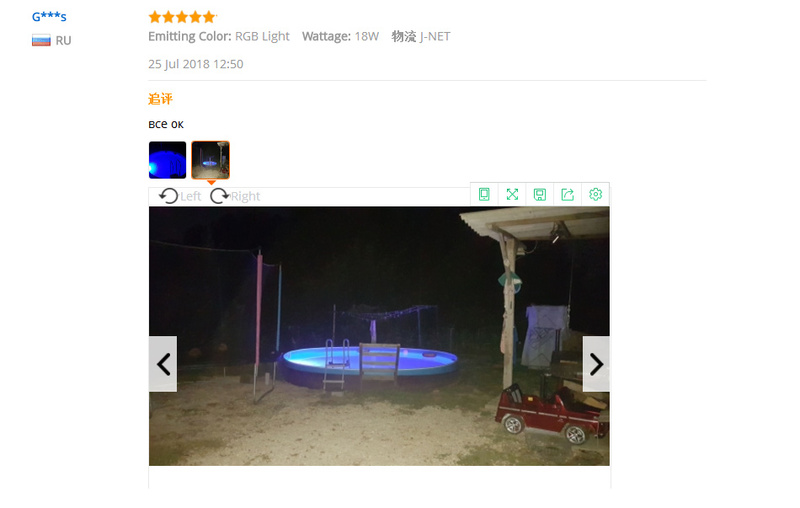 the on/off switch of your pool lights. Just switch off and switch on within 2 seconds. 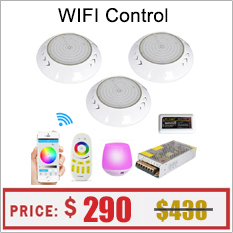 program for them by switch off and on within 8 seconds. industrial frequency transformer , such as toroidal transformer and square transformer . • Avoid making contact with the electric voltage. • Comply with the current standards regarding accident prevention. 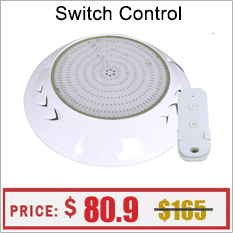 • Replacement must be performed with the lamp disconnected from the electric power system. 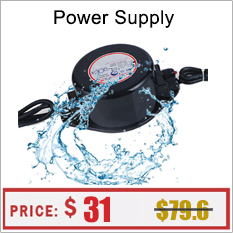 • Do not handle any electrical components with wet feet. 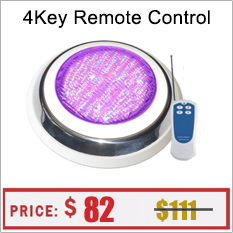 • The light with normal LED less than 30W has 3 dead LED or less . 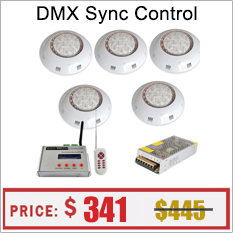 • The light with normal LED more than 30W (included )has 6 dead LED or less . and the number of the air bulbs is 3 or less . 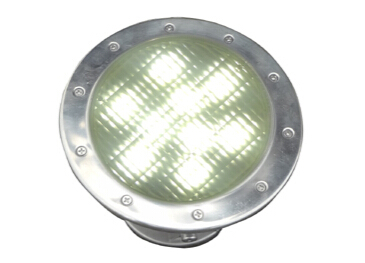 • The light has small air bulbs inside the resin on the back side .